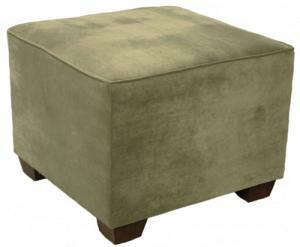 Crawford Sectional Sofa Ottoman. Check the Dimensions tab and view our how to measure furniture guide. Create your own custom Crawford sectional sofa. Use the Crawford Sectional Ottoman as a connecting piece then choose any sectional configuration, large or small. Your Crawford ottoman will be made with love and care by family owned third generation Carolina Chair in the mountains of North Carolina. Handcrafted quality made in the USA construction with hardwood frames and eight-way hand tied steel coil springs.